When it comes to running a business, it is essential that you keep a close eye on your fellow competitors. It will not only help you find out which ones outperform your company (and how they do it) but also help you keep track of what your company is doing better than them. It is crucial that you keep a close watch on how your competitors are handling their social media, what their ranking is in search engines, their public relations emails, and just about anything else which helps them in the growth of their business. How does this help? Once you are able to track what your competitors are doing, you can plan out strategies to beat them in their own game which is based on data rather than just assumptions. It also helps you find inspirations for new ways of dealing with your customers as well as enables you to understand where you can improve your business operations. 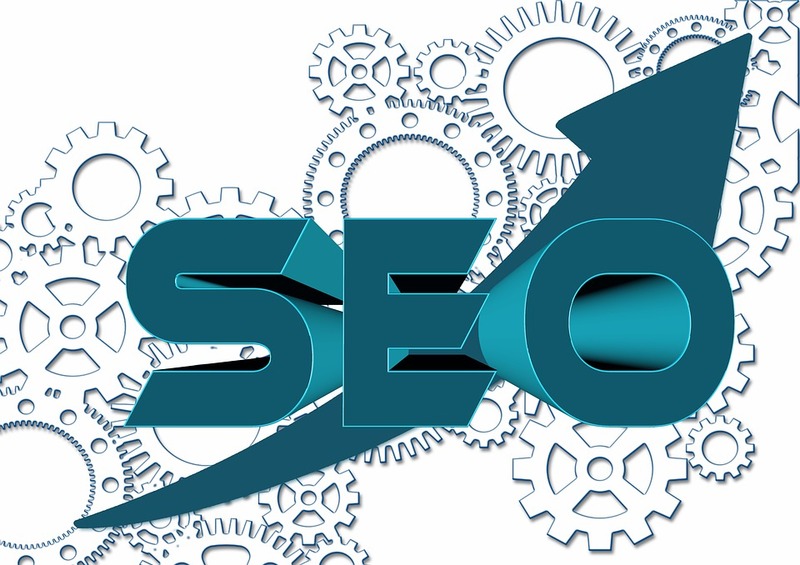 There are various SEO tools in the market that help you to optimize your content and help you climb the search engine ranks, it has been tested and proved by much-reputed SEO company. That is not all though, many of these SEO tools will also help you to track your competitor’s web content as well. Continue with the article to find out how you can help your business grow! If you are not aware of what SERP analysis is, then it’s high time that you expand your knowledge. SERP tools are crucial to your search engine ranks. With the help of these tools, you will be able to search the web for the keywords that you plan to optimize your content for. It helps you come up with keywords which are relevant to your company’s niche market, as well as helps you to figure out whether or not you will be able to outrank your competitor. SEMRush: SEMRush offers you a general overview of how your website is doing. With the help of this tool, you can enter your website domain to check the traffic status of your web page. Not only that but it also helps you get an idea about the keywords that your competitors are using and how much traffic they are able to procure from them. SEMRush helps you to come up with new, innovative an effective keywords to help your website prosper. Ahrefs: this is a versatile tool that helps you keep track of your “backlinks.” Although, that is not all that it can do. Ahrefs can be sued to check how many links lead back to a certain domain, the quality of the links, check how many pages point to a given URL, keep track of the unique web pages that lead to a given URL, as well as rank a domain based on the number of hyperlinks it has. This tool helps you to check the number of live hyperlinks as well as fresh hyperlinks. All in all, it helps you asses how many pages on the internet lead potential customers to your webpage as well as how well your domain is performing compared to your competitors. SERPstat: This revolutionary SEO tool helps you track your competitor’s content while simultaneously helping you climb the search engine ranks. It helps you to optimize your content, and develop keywords that are relevant to your business, while also helping you gain a general overview on the global data of searches to see how your website is performing all over the world. Not only that, but it also gives you information on the types of ads your competitors are displaying and how much attention they are garnering. It also allows you to tailor your marketing so that you emphasize on the sites which get you more number of clicks it helps you compare your domain to your competitor’s to see how well you are performing. Additionally, it also helps you to keep track of your backlinks as well. With SERPstat, registered users are allowed up to 30 queries per day with no additional costs, as well as additional benefits with affordable pricing. BrightEdge: In the world of digital marketing, BrightEdge is your friend. This tool helps you to optimize your web content according to search engine guidelines to help your website be more visible to users. It helps you gain information on the different websites, and pages where you can place ads and project your content, while also showing whether or not your competitors are vying for the same pages along with the percentage of shares they are looking for. BrightEdge helps you optimize your content immediately after you post it so that potential customers are able to find it easily; it also helps users by offering those tips and tricks on how to improve their SEO strategy. The tool has Adobe Experience Manager integrated into its operations so that it can help companies come up with better digital marketing plans as well as guidance on making their landing page more attractive to viewers. Conductor: this SEO tool not only helps you with Search Engine Rankings, but it also helps you in making your content more attractive to potential customers. It helps you improve your ROI by showing you what works for competitors and what customers connect more with. Thus, it helps you prioritize your tasks and business operations accordingly. It also provides you more insight into which keyword and strategy are likely to get you more traffic, while also helping you optimize your pre-published content. SearchMetrics: This SEO tool takes the guesswork out of keywords and making your page more visible to users. It keeps users updated in real time about new market strategies and how their website is performing. Like any other SERP Analysis tool, it helps you compare your webpage to your competitor’s, but it also provides you with information about the strategies which your competitors are using and benefiting from. It also helps your marketing team come up with new and innovative strategies which are at par with the global marketing trends while also helping you keep track of how well your keywords, backlinks, and the domain is performing. SpyFu: this innovative SEO tool helps you get all the information about your competitor’s marketing strategies that you need. Want to know whether a keyword worked for your competitor Spy Fu’s Ad History can help you do that. It can also help you track what keywords have worked for your competitor’s in the past as well as present with the help of the Kombat feature. It also helps you come up with a list of unique keywords which will help you gain the upper hand in search engine rankings; helping you make your content more accessible to potential customers. iSpionage: this helpful SEO tool helps you get a better insight into what works and does not work for your fellow competitors. It uses CPC research in order to help you find out which strategies adopted by competitors have made them more visible to potential customers. Thus, you are able to come up with better marketing strategies so that you are able to see better returns and turnover. The name is pretty self-explanatory when it comes to Traffic Analytics Tools. These tools help you to keep track of how many clicks and users your competitors are getting on their website. Some applications also help you break down the sources of the traffic, whether a user has been lead to the site from a social media link, a search engine link, a backlink or through some there source. They also help you gain an insight on how many users interact with the web content. Google Analytics: with the help of Google analytics you will be able to obtain a better insight into what potential customers like or do not like about your website. This tool provide with information on what browser your users use, which country they are coming from, which link led them to your sites, which pages they visit and the amount of time that they spend on those pages, which links get the most number of clicks, and finally, which page they visit before they exit. This tool also performs you with information on which links lead them to complete a task that you would like for them to perform such as buy a product or register to the website. This tool helps you come up with insightful strategies to improve your website content. SEMRush Traffic Analytics: it helps you to not only gain more insight on what users love about your website but also enables you to keep a track on your competitors. It shows you which marketing strategies will help you with getting more users to visit your web content, and engage with it. The user interface is straightforward and comfortable to use, and thus it is a great tool even for beginners! Alexa: with the help of Alexa you will be able to compare your website to other competitors in the same market. You can keep track of their traffic status as well as their keywords and marketing strategies used. Alexa provides you with the rankings of competitor websites to show you whether or not they are outperforming you, and which domains you should look out for. SimilarWeb: With the help of SimilarWeb you can compare and contrast your site with your competitor’s. You can use this tool to see where your traffics is coming from and mage your backlinks and social media postings. It helps you to find out how competitors in the same market are doing based on their website traffics, ads as well as keywords. Manish Kumar works as a content marketing manager for Tangensys & SeoBirdie. He has been working in this field for some time now and knows how to balance creativity and technical side of content. He loves making new content marketing strategies for his customers.